Sunil Kumar Sinha of India Ratings and Research clarified RBI governor Raghuram Rajan did not raise questions on methodology, but signalled a need to read GDP numbers in wider context. Calculating gross domestic product (GDP) data of any country is a complex process. Ever wondered how many resources it takes to derive the single number? Before we satiate your curiosity, let's understand why GDP methodology is hogging headlines. In an event at RBI-promoted Indira Gandhi Institute of Development Research, RBI governor Raghuram Rajan said there are problems with the way we count GDP, which is why we need to be careful sometimes just talking about growth. This has raised questions over whether the governor has doubts about the new methodology which we use to arrive at GDP numbers. For clarification, Business Today online spoke to Sunil Kumar Sinha of India Ratings and Research, who feels that Rajan did not raise questions on methodology, but called for a need to read GDP numbers in a wider context. "I believe, RBI Governor is not questioning the CSO's new methodology to calculate GDP. What he is saying is that GDP needs to be understood in wider context, particularly whether GDP growth is leading to jobless growth or job creating growth," said Sinha. "So far as CSO's new methodology to calculate GDP is concerned, in my view it is a an improvement over the previous method and also in line with the methodology adopted globally to calculate GDP. As a result, the new GDP Growth of India is now comparable to the GDP growth of other countries. Earlier this was not the case," added Sinha. In the quarter ended 30 September of financial year 2015-16, the GDP growth accelerated to 7.4 per cent against 7 per cent in the first quarter (April-June). December quarter GDP figure is yet to come. To recall, PM Modi government had changed GDP calculation method last year which had had the remarkable effect of lifting growth to 6.9 per cent for 2013-14 instead of 4.7 per cent as estimated earlier. Change in base year: The government changed the base year for estimating GDP from 2004-05 to 2011-12. This, however, is done routinely after every five years or so to keep the numbers contemporary and incorporate the changing structure of the economy. Shift from factor-cost-based method to market-cost-based method: India's GDP is now measured by using gross value added (GVA) at market price, rather than factor cost. Simply put, The new formula takes into account market prices paid by consumers. It is calculated by adding GDP at factor price and indirect taxes (minus subsidies). Earlier, domestic GDP was calculated at factor or basic cost, which took into account prices of products received by producers. Raising doubts over the new GDP growth rate methodology, RBI Governor said there is a need for better computation of numbers so as to avoid overlaps and capture the net gains to the economy. 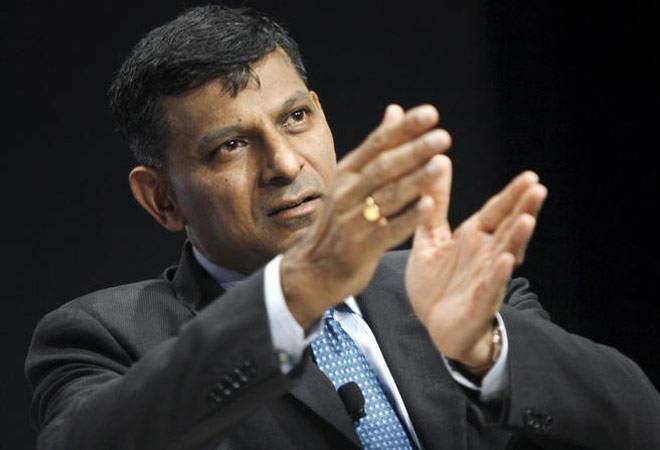 "There are problems with the way we count GDP which is why we need to be careful sometimes just talking about growth," Rajan told the students of the RBI-promoted Indira Gandhi Institute of Development Research. "We have to be a little careful about how we count GDP because sometimes we get growth because of people moving into different areas. It is important that when they move into newer areas, they are doing something which is adding value. We do lose some, we gain some and what is the net, let us be careful about how we count that," he said.